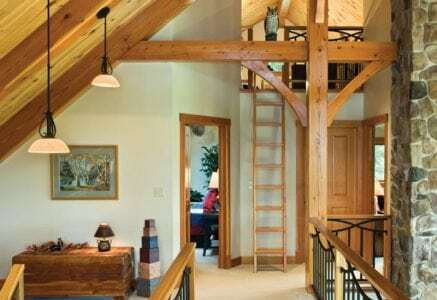 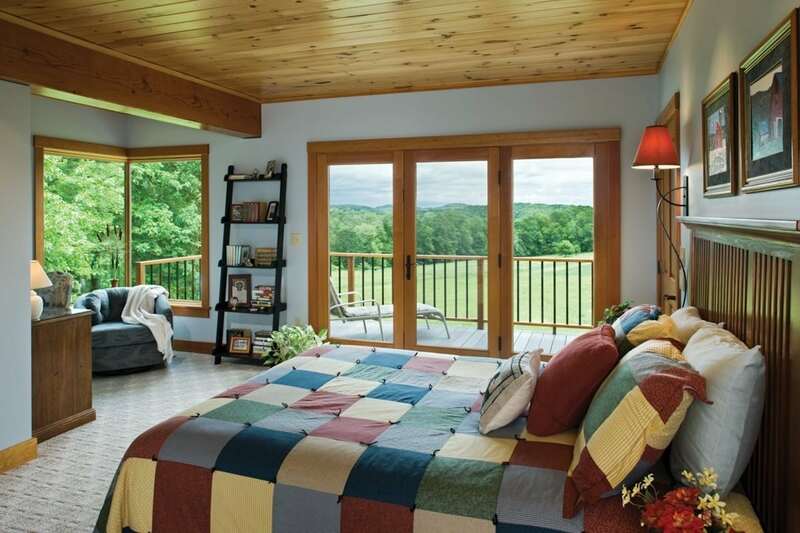 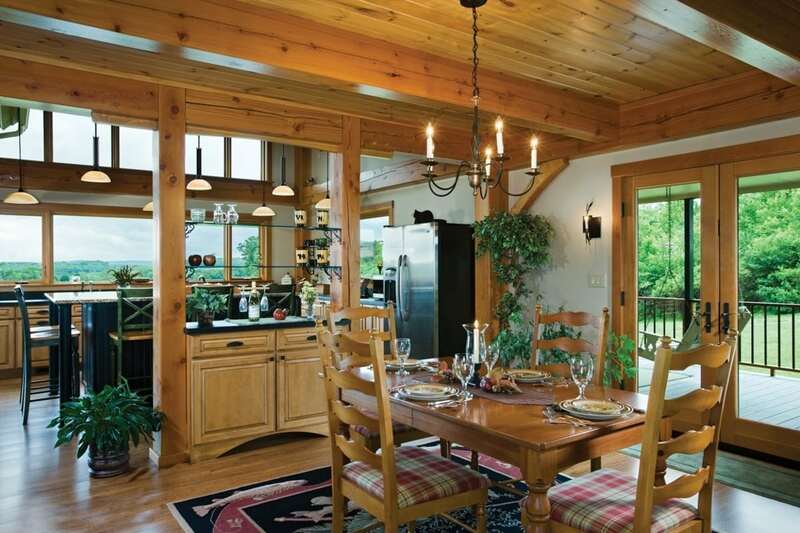 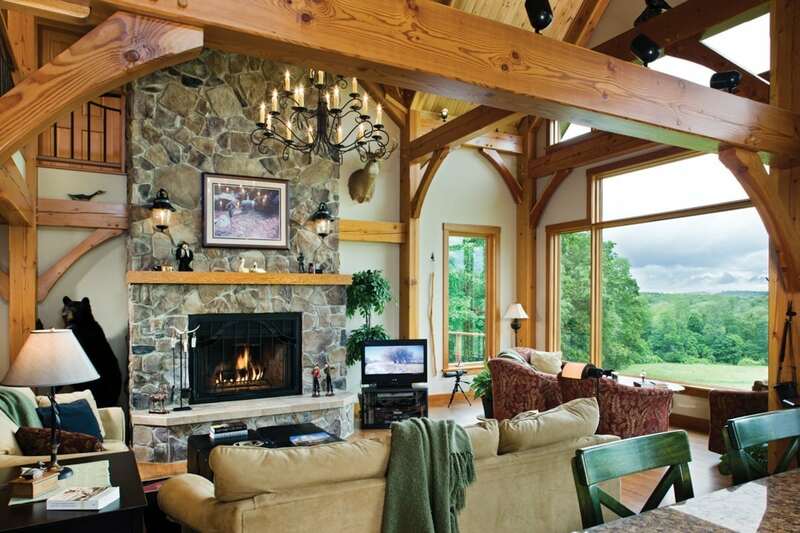 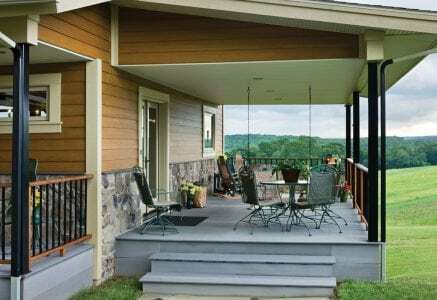 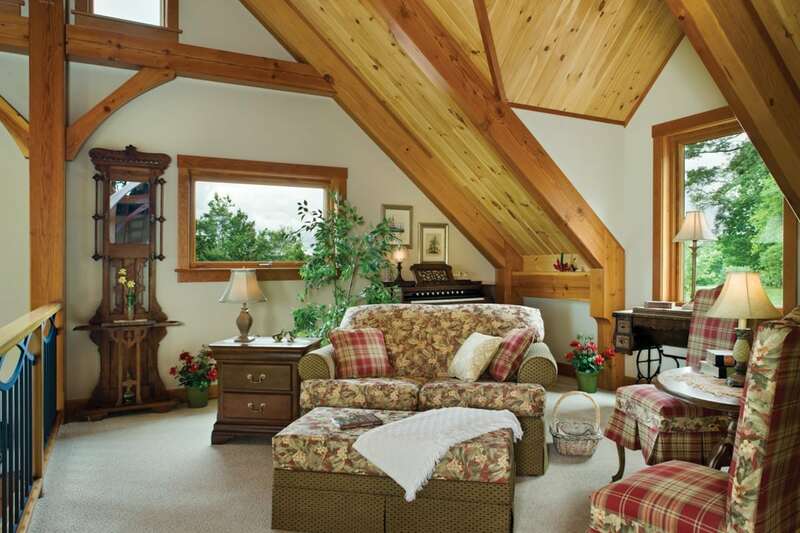 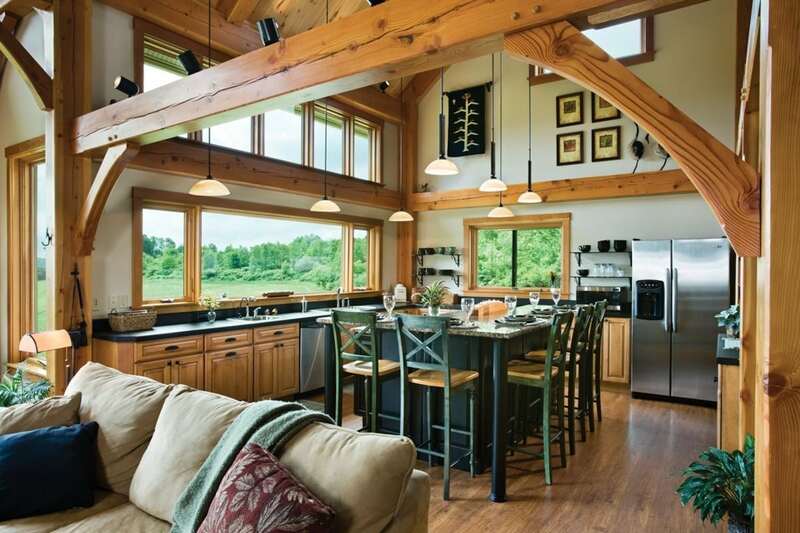 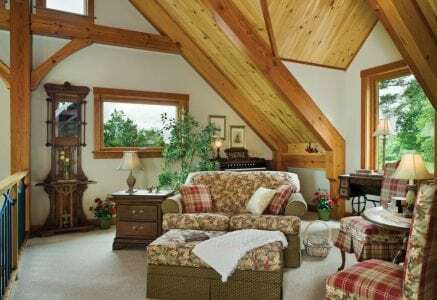 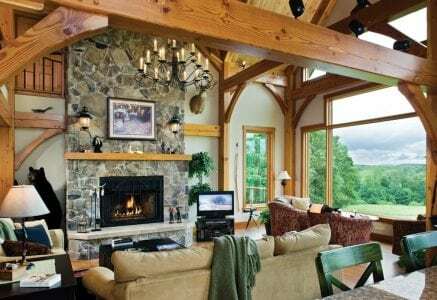 The homeowners wanted three things out of their new timber frame home: open space, a relaxed atmosphere, and a view. 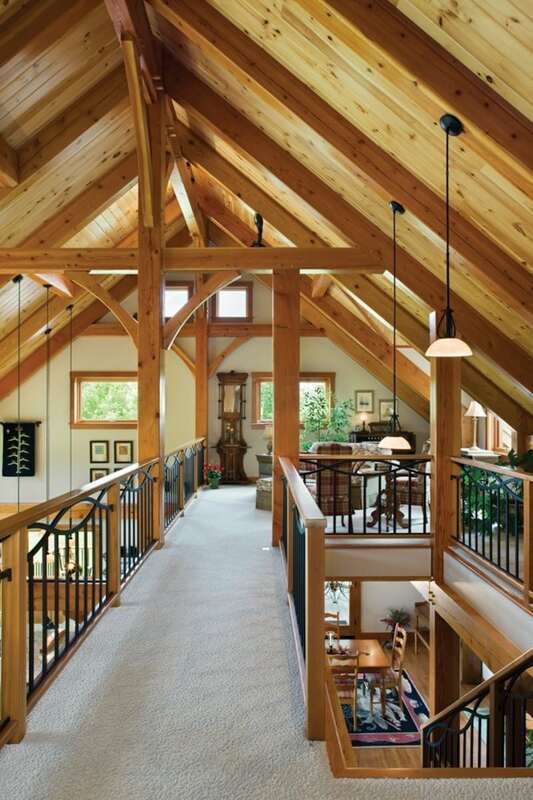 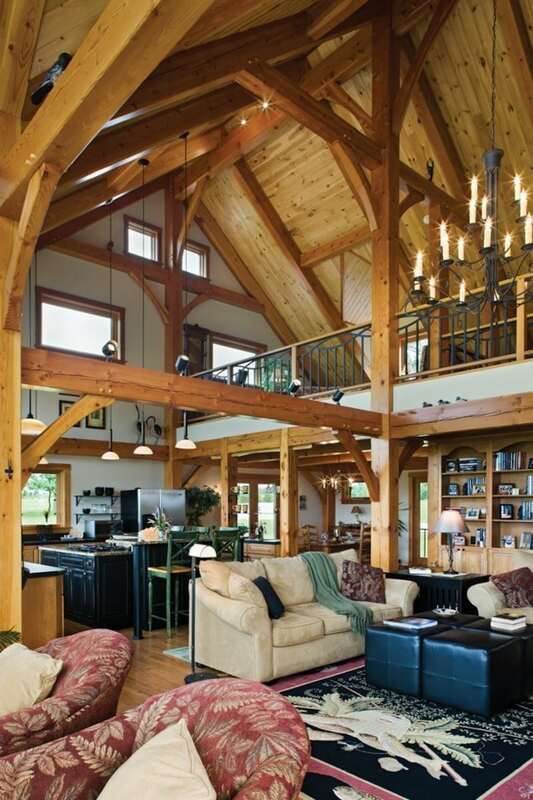 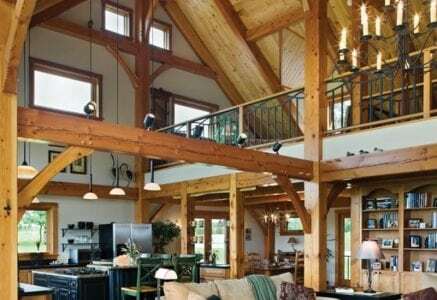 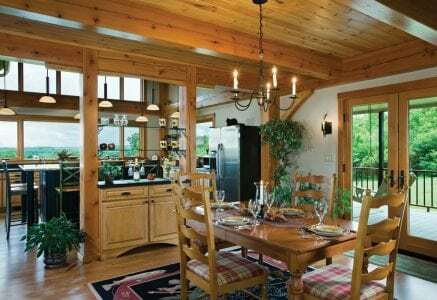 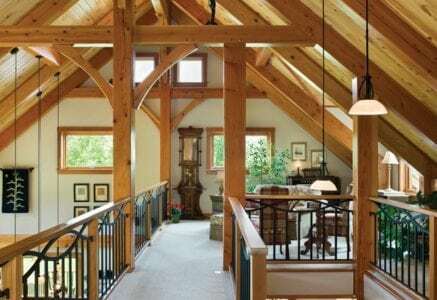 Large, simple trusses, which easily flow between the great room and the kitchen, form the vaulted ceiling over the main living space. 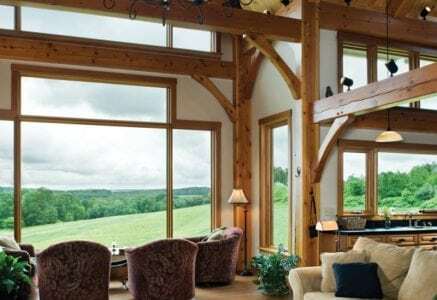 Geometric windows in the great room let natural light into the space and are perfect for capturing the panoramic views of the Pennsylvania woodlands and wildlife. 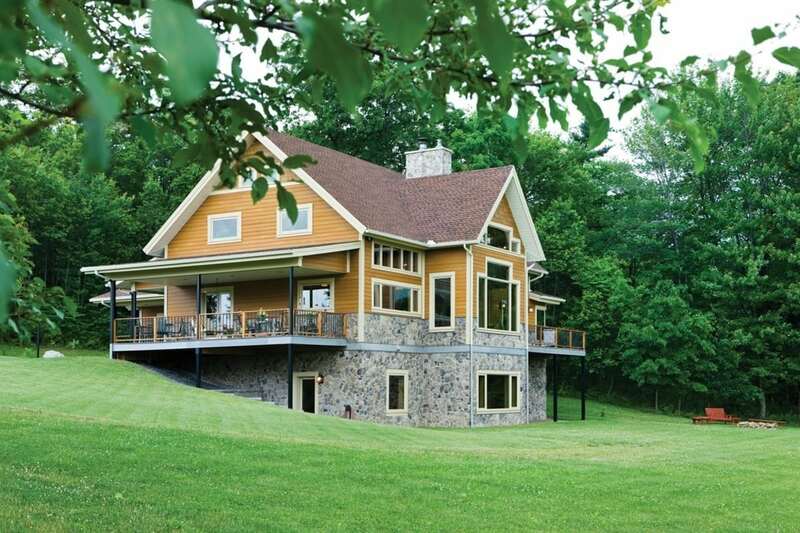 The home also takes advantage of the property’s natural slope. 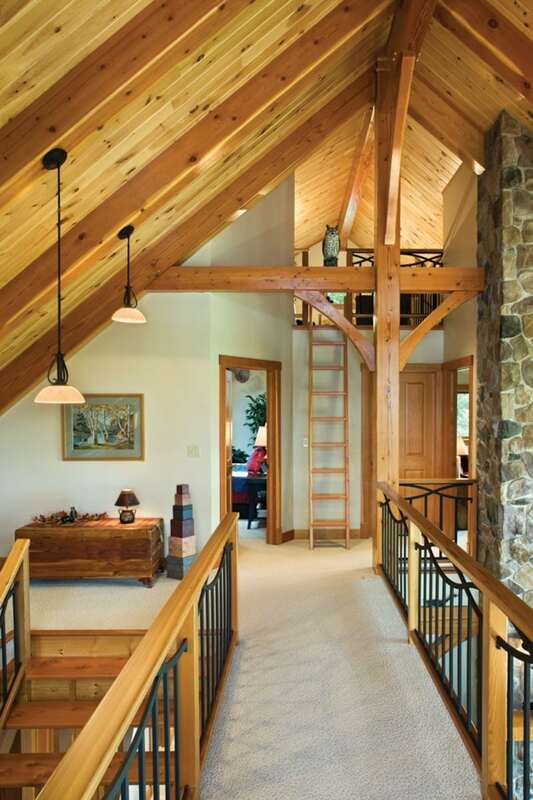 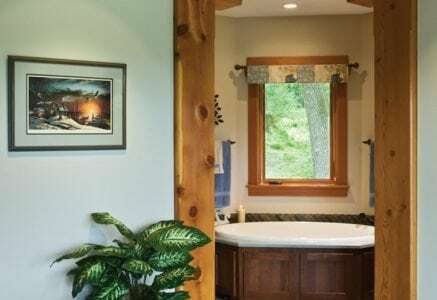 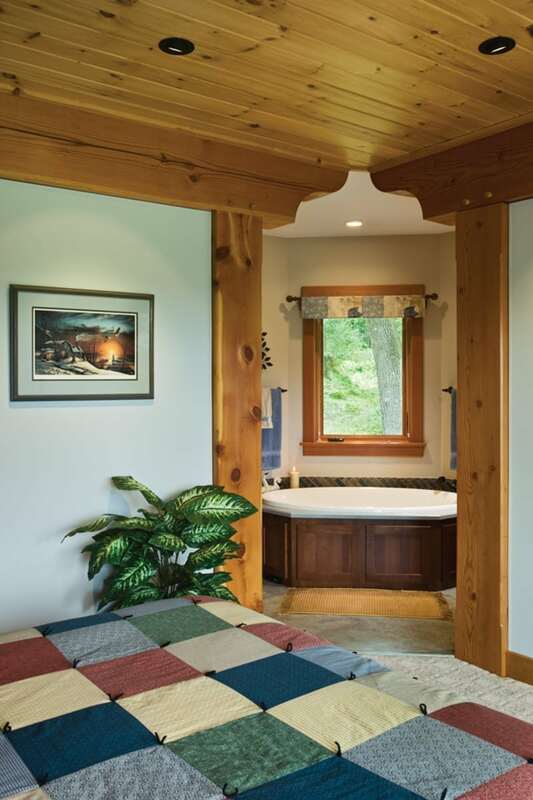 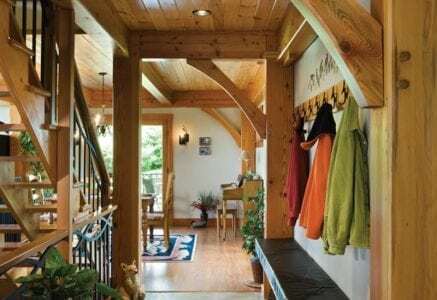 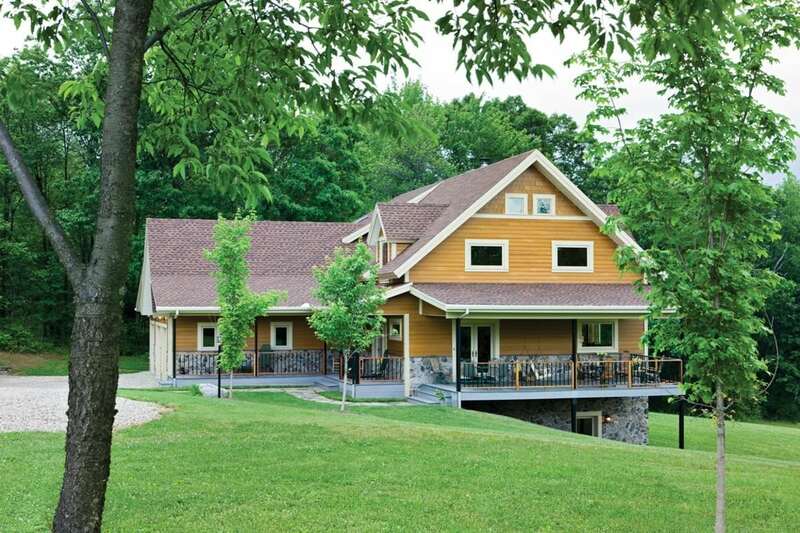 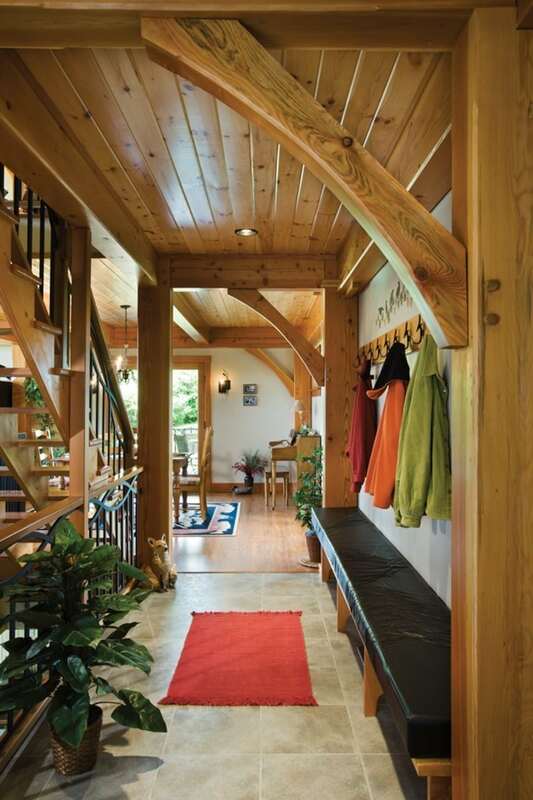 A walkout basement in this hillside timber cottage provides additional space for guests, and easy access to the field and trails below.